Long before the Democratic Republic of Congo (DRC) finally held its long-delayed presidential election last month, speculation that the vote would be rigged was rife among large sections of the country’s political opposition. Initially, outgoing President Joseph Kabila was accused of attempting to hold on to power himself. Once Kabila confirmed he wouldn’t be running in the election, attention turned to his successor, Emmanuel Ramazani Shadary, speculation that the ruling coalition would engineer an election win for him in order to keep itself in power and pave the way for Kabila to return in the country’s next election. Except the electoral commission hasn’t named Shadary as the winner of last month’s poll; instead, opposition leader Felix Tshisekedi was named as the surprise winner. Now, the DRC’s ruling coalition is preparing to hand over power and this in itself is a historic moment few would have predicted. However, accusations that the vote was rigged refuse to go away and there’s a new theory among a large section of the country opposition that the ruling coalition has still managed to fabricate the result in its favour. 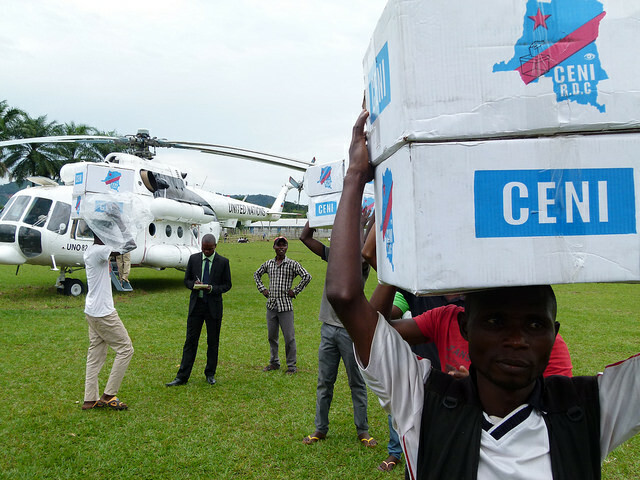 After more than two years of delays, scepticism over the DRC’s presidential election was understandably high during the vote and counting processes – both at home and abroad. The US went as far as stationing troops in neighbouring Gabon as fears over violence escalated, but the election remained largely peaceful throughout. The Democratic Republic of Congo is a country that has never seen a peaceful transition of power since gaining independence. Political division often results in violence and elections are routinely contested by opposition groups. The fact that the DRC looks like it’s about to peacefully hand power over from one political group to another will be enough for many to consider last month’s election a success. There’s no denying it’s a historical moment. However, doubts over the legitimacy of the election result are a dangerous thorn that remains in the side of the DRC’s political transition. Of course, it’s no surprise that losing opposition candidate Martin Fayulu is claiming the vote was rigged. In fact, the only predictable thing about the election itself is that the losing party is crying foul, as always seems to be the case. The problem is Falayu’s complaints are uncomfortably plausible and they’re also supported by election data collected by the DRC’s powerful Catholic Church. Did Tshisekedi strike a deal with Kabila? The new theory among DRC election doubters is that Tshisekedi struck a power-sharing deal with Joseph Kabila, in order to maintain the outgoing president’s influence in the political sphere. This in itself doesn’t have a great deal of credibility but it’s easy for doubt to accumulate when other factors are considered. Above all, the DRC’s Catholic Church stationed 40,000 election monitors to ensure a free vote was held but multiple cases of irregularities were reported. Millions of opposition supporters were prevented from voting due to delays and certain polls never opening. But the real issue is the election data collected by the church that greatly differs from the result announced by the electoral commission (Ceni) last week. Following the vote, the church said there was a clear winner in the poll – without naming the winning candidate – and now the church says Ceni has announced the wrong winner. The Church’s claims support Falayu’s argument that he was the rightful of the election and should become the next president of the DRC. His camp insists he won the vote by a large margin with roughly 60% of the vote and the church’s own election data apparently supports this. Combine this with the reports of irregularities during election day, plus doubts among analysts over the legitimacy of the results, and the theory that Tshisekedi struck a deal with Kabila becomes difficult to ignore. What happens next for the DRC? Whether last month’s election was rigged or not, it seems the result is going to be upheld and Tshisekedi will indeed become the DRC’s next president. An appeal from Falayu’s camp has been rejected by the constitutional court and Tshisekedi is set to be sworn in on Thursday. Within the country, things remain fairly calm and it seems the DRC is largely accepting the result. Perhaps the fact that Kabaila and the ruling coalition are finally handing power over to an alternative group is enough to maintain calm – after all, it was hardly the expected outcome. Of course, there’s also the possibility that the majority of voters did indeed elect Tshisekedi as their next president and it was, in fact, the Catholic Church that prefered Falayu. While this would be uncharacteristic for the DRC’s church, there are only two plausible options: either itself or the electoral commission is lying. Most would probably admit that deception would be more characteristic of the electoral commission than the country’s church and this is compounded somewhat by the commission’s refusal to publicly publish its election data. Regardless, support for Falayu’s claims are dwindling, both at home and abroad. Following the constitutional court’s dismissal of his case, international bodies have announced their support for Tshisekedi. The African Union, US and EU all voiced concerns over last month’s election and the result that followed but all three have stated their recognition and support for Tshisekedi as the DRC’s next president. Speculation will continue to mount and keen eyes will be monitoring events in the DRC under Tshisekedi’s rule. Any glimpses of Kabila influence might vindicate accusation of cooperation between the pair and it will be interesting to see whether Kabila is back to run again in the country’s next presidential poll. Rigged or not, last month’s election result looks set to hold.